The father of Android, Andy Rubin, is currently kicking the tires on a new smartphone company named Essential. Rubin teased the company's first device on Monday, posting an image to Twitter. Rubin is said to have put together a team of former Google and Apple (HTC too) employees to create a smartphone to compete at the top. Today, we got our first look at it. 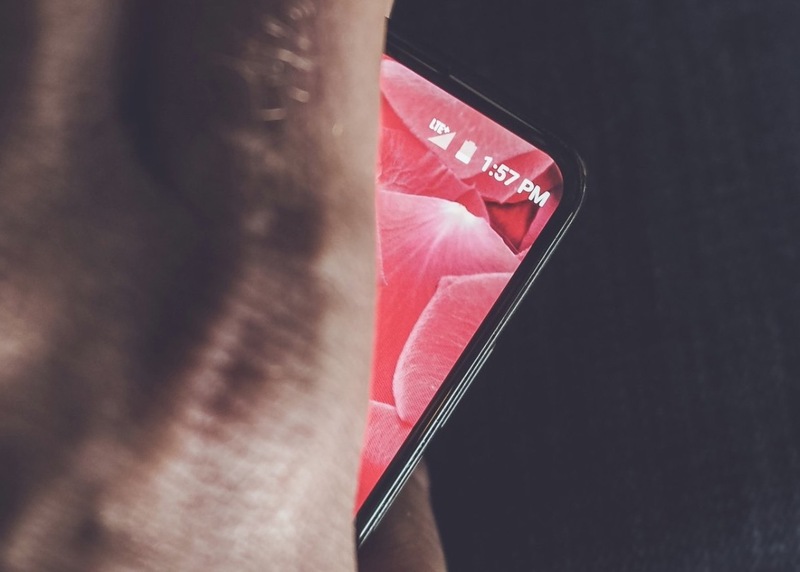 The image was posted through a Tweet from Rubin that said, “I’m really excited about how this is shaping up,” and that he is “Eager to get it in more people’s hands.” That’s fitting, as the phone is in the hand of someone in the picture and looks promising, assuming you like phones with little bezel around a display. The picture (above and below) doesn’t reveal a lot, other than a time, battery meter, and LTE signal that sure looks to be of an Android font. Then you have a power switch (or are there two buttons? ), rounded corners, and again, pretty minimal bezel. The phone also looks quite small in the hand of this person, though previous reports suggested it might have a display 5.5-inches or larger. We’ve also heard that the phone will sport premium materials (maybe a ceramic back) and could have some sort of modular aspect too. Little is known about the new smartphone just yet, but the image is rather telling. It appears to have an edge-to-edge that spans almost the entire front of the device. Samsung is expected to offer a similar screen on the Galaxy S8, which it will announce next week, and Apple may adopt similar technology for the iPhone 8. and noting that he's "really excited about how this is shaping up" and is "eager to get it in more people's hands." Rubin’s company is thought to be called Essential. Essential’s goal will be to create an ecosystem of products, likely in an attempt to take over your whole home, not just your smartphone. I can’t help but think Xiaomi when I hear this approach, since they make almost everything single tech product you could put in a home.